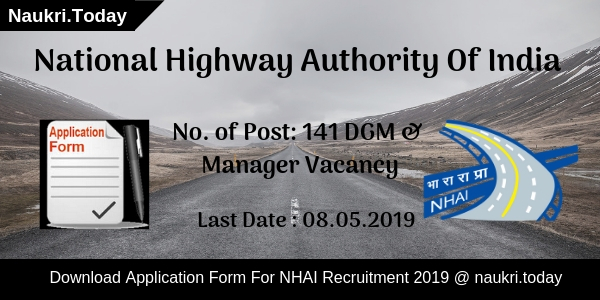 HSSC Recruitment 2019 – Haryana Staff Selection Commission has published notification for 257 Chargeman, Salesman, and Other vacancies. 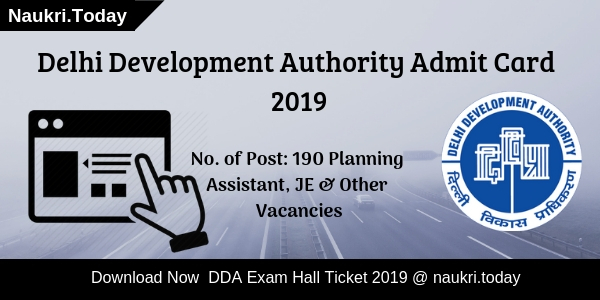 Interested and Eligible candidates may fill up their application form from 08 March 2019. Participants should apply online for HSSC Vacancy 2019 before the last date 08 April 2019. Minimum Qualification required to apply is Matric with Hindi and Sanskrit. The Department will charger Rs. 150/- as an application fee to the General category candidates. For more information aspirants may refer to the below article. Matric with Hindi & Sanskrit. ITI Certificate and 3 years of experience in relevant Field. Graduation with minimum 2nd division marks. For Post wise qualification aspirants may download HSSC notification 2019 from here. What Is The Application Fee For HSSC Salesman Vacancy 2019? Candidates have to submit an application fee for HSSC Jobs 2019. Applicants can pay their application fee through online mode as well as offline mode. Here we provided you table which consists of category wise details regarding an application fee. Applicants should log on to the official website of Haryana Staff Selection Commission i.e. hssc.gov.in. Click on Advt. option given at the Homepage. Now open notification number 03/2019 and read it carefully. After that eligible candidates may apply online for HSSC Vacancy 2019. Pay Application Fee through suitable method. Conclusion: Haryana Staff Selection Commission has issued notification for 257 Chargeman, Salesman, & other Vacancies. Eligible candidates may apply online for HSSC Recruitment 2019 from links given here. 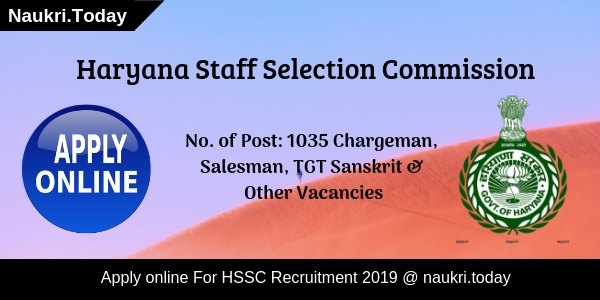 Haryana Staff Selection Commission has uploaded HSSC Recruitment 2019 Notification for 778 TGT Sanskrit posts. This is a great opportunity for the applicants who want to built their career in Teaching Field. Those applicants who are eligible and interested can apply online for HSSC TGT Recruitment 2019 by 25th March 2019. The online registrations for TGT Sanskrit Vacancies from 22nd February 2019. Thus, Aspirants who wish to participate in Haryana SSC Jobs can read further details about selection method, qualifications, etc here. Haryana SSC Official Website : hssc.gov.in. Candidates should have passed 12th Class Examination from recognized Board for HSSC Vacancy 2019. Those applicants who have done B.A. and B.EI. Ed. in Sanskrit from recognized University will get also eligible for TGT Jobs. To read more information related to educational qualifications for Haryana SSC TGT Recruitment, you can visit official link mention below. Aspirants should have age between 18 years to 42 years for HSSC Recruitment 2019. Relaxation in upper age for reserved categorized candidates will get applicable as per Haryana Government Rules. Aspirants can refer HSSC Notification to get rest of instructions about age relaxation for Teacher Vacancies. Participants will get selected for HSSC Jobs 2019 on the basis of written test and Socio-Economic criteria and experience. Those participants who qualify in written exam will get applicable for verification of Socio-Economic criteria and experience. The final selection list for HSSC TGT Jobs 2019 will get made on the basis of marks secured in both selection rounds. Applicants can collect more details regarding Selection method for Teaching posts from HSSC Notification link as shown at the end section. A nice amount as salary will get paid to the selected candidates for TGT Sanskrit Jobs by HSSC department. Selected aspirants will get offered by Rs. 44900/- to Rs. 142400/- for HSSC Vacancy 2019. Candidates must check for HSSC Notification 2019 Link and then click on it. Aspirants can read all the details as mention on HSSC Recruitment 2019 Notification. Eligible applicants must click on ‘Apply Online’ Link. Participants should fill up the all required information in HSSC Teacher Online Form 2019. Candidates must also upload the scanned images of photograph, signature and relevant certificates in online form. Recheck all the details as filled by you in HSSC TGT Sanskrit Online Form. Candidates must also make the fee payment through Net Banking/ E-Challan at SBI Bank, PNB, etc. Applicants must also take the hard copy of submitted Haryana SSC Online Form for their future reference. Conclusion: HSSC Recruitment 2019 Notification is out for 778 TGT Sanskrit posts. Candidates can apply online for HSSC Teacher Recruitment 2019 from 22.02.2019 to 25.03.2019. Dear Applicants, are you waiting for HSSC Recruitment 2019? If yes then here is good news for you. Haryana Staff Selection Commission has issued notification for 1007 Craft Instructor & Fitter Instructor. Candidates who interested and eligible can apply through online mode. Online Registration for HSSC Craft Instructor Vacancy is starting from 05.01.2019. Participants must submit application forms before or on 04.02.2019. Before filing an application form for Haryana SSC Jobs, Contenders must check eligibility criteria, selection process required for the post. For furthermore details aspirants may read the given article. Applicants who wish to apply for HSSC Recruitment 2019 must fulfill some eligibilities. Here some eligibility criteria are described in below section which are required for Haryana SSC Craft Instructor Vacancy 2019. Candidates who apply online for Haryana SSC Vacancy 2019 must have Bachelor’s Degree from any recognized university. Additionally, Applicants must also have Diploma in relevant field for which they are applying. To get rest of detail regarding education qualification, participants must read HSSC Notification 2019 from the link given below. Participants should have minimum age as 17 years for HSSC Recruitment 2019. Similarly, Aspirants should not have exceeded to 42 years to get eligible for HSSC Craft Instructor Vacancy 2019. For more information read the official notification from the link given at the end of the article. Department will going to conduct written test for HSSC Recruitment 2019. Candidate who get qualify in written exam will be called for Socio Economic Criteria & Experience round. After analyzing performance in both the session participants will be selected for Haryana SSC Craft Instructor Jobs 2019. For further details applicants can download HSSC Vacancy 2019 Notification from the link given below. Department will pay a great salary package to the candidates who have selected for the HSSC Craft Instructor Recruitment 2019. Here we are providing you post wise salary details for HSSC Recruitment 2019. Applicants who are filling registration form for HSSC Recruitment 2019 have to pay application fee. Candidates need to pay post wise application fee for Haryana SSC Jobs 2019. Here information for HSSC Application Fee is given in below table. For rest of details regarding application fee participants must read official notification. Participants who are going to fill application form for HSSC Jobs 2019 must apply online before or on 04.02.2019. Late application form will get rejected by the department. Here we are giving you some instructions to follow while filling application form for HSSC Craft Instructor Recruitment 2019. Firstly, Aspirant must logon to the official portal i.e. hssc.gov.in. Then go to homepage, search for HSSC Notification 2019. Eligible & Interested candidate should click on “Apply Online” link. Fill all required details in application form. Then upload recent passport size photo & signature in online form. Recheck all entries in HSSC Recruitment application form. Afterwards, make payment of application fee. Applicants can also take print out of registration form. Conclusion: Haryana Staff Selection Commission is inviting applications for 1007 Craft Instructor & Fitter instructor posts. Interested participants can apply online for HSSC Recruitment 2019. Applicants must fill application forms till 04.02.2019. HSSC Recruitment 2018 – Haryana Staff Selection Commission has issued notification for appointing candidates on Various Group D Posts. There are 18218 Vacancies are available for HSSC Vacancy 2018. Interested participants should check here Classification of Group D Vacancies, Qualification, Age, & PayScale. Eligible applicants should fill up their application form before 18 September 2018. Online Registration for HSSC Group D Jobs will begin from 29 August 2018. Applicants must submit their application fee till 21 September 2018 for Haryana SSC Bharti 2018. Aspirants should read below section for further more information. Aspirants should fill up all the details carefully in application Form otherwise their form will be rejected. Participants should collect here education qualification, age, and application fee for HSSC Recruitment 2018. Candidates should download their HSSC Notification 2018 either from here or from the official website. Applicants who are going to participate in HSSC Vacancy 2018 must have Matriculation from a recognized university of Haryana. Candidates may also have Hindi and Sanskrit, one of the subjects up to Matriculation. For More information aspirants should read official HSSC Notification 2018 carefully. Candidates must be 18 years old and not more than 42 years are eligible for HSSC Recruitment 2018. Upper age Relation are applicable according to Haryana Government Rule. An applicant who is under this age limit must apply online form links given here. Aspirants must download HSSC Group D Vacancy Notification from links given below. Candidates can submit their application fee in any Branch of State Bank of India, IDBI Bank, and Punjab National Bank. Participants should pay their application fee through e-challan and Net Banking. Applicants can submit their application fee up to 21 September 2018. Here we gave you table which shows you category wise application fee for applying candidates. Selection of candidates should take place on the basis of written examination and Socio-Economic Criteria/ Experience. Participants should appear in written examination for HSSC Recruitment. Aspirants who pass in written examination may go for Socio-Economic Criteria. Final Merit List should be created according to marks obtained in written exam and socio-economic. Candidates should consult of official HSSC Notification 2018 for more details. The Department should pay salary to the selected candidates according to Level DL. Selected applicants pay scale is Rs. ₹16,900- 53,500 + applicable spl. pay. Candidates should apply online for HSSC Bharti 2018 from links given here. Check below section for easy and simple steps to download Haryana SSC Group D Jobs 2018. Aspirants should check here age, qualification, and application fee for HSSC Jobs 2018. Participants can apply online for Haryana SSC Group D Vacancy from 29.08.2018. These easy and simple steps will help you to download HSSC Bharti Notification 2018. After Fill up, applicants form candidates may pay their application fee through net banking and e-challan. online registration will close on 18 September 2018. Applicants may search for HSSC Recruitment section at Homepage. Now Aspirants may read the complete notification carefully. Eligible Aspirants may fill up their application before the last date. Aspirants do not forget to insert their photo and signature. After completing application form applicants should submit their fee. Participants must keep one copy of application form with them or feature use.